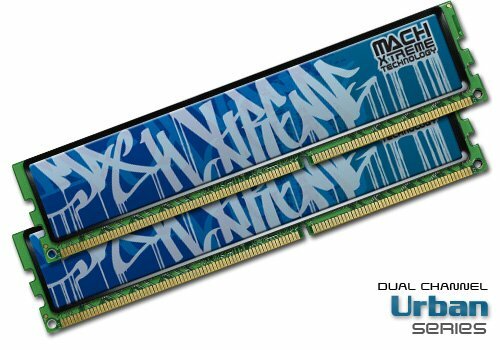 Mach Xtreme Technology Inc., a worldwide leader in top performance, high reliability and user-friendly designed PC components, today unveiled Urban™ Series Dual-Channel DDR3 high-density memory kits based on the latest DRAM chips. Urban™ high-density DDR3 modules offer desktop users groundbreaking computing experience at an attractive price point. Featuring enhanced capacity of 4GB per module, these new high-density 8GB kits provide customers with cutting-edge memory solution that significantly increases memory space. Users working with the latest operating system can keep multiple applications open or run smoothly memory intensive graphic programs. The uniquely designed lightweight heatsink is made of specially imported top grade Japanese aluminum. Each module is 100% hand-tested for quality assurance and is backed by lifetime warranty. Coupled with an attractive price, the Urban™ 8GB kits are an excellent choice for your next upgrade.